Facebook, Amazon, Google, and Twitter all work with or consult the Southern Poverty Law Center in policing their platforms for “hate speech” or “hate groups,” a Daily Caller News Foundation investigation found. The SPLC is on a list of “external experts and organizations” that Facebook works with “to inform our hate speech policies,” Facebook spokeswoman Ruchika Budhraja told The Daily Caller News Foundation in an interview. Of the four companies, Amazon gives the SPLC the most direct authority over its platform, The Daily Caller News Foundation found. 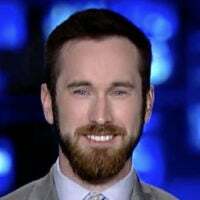 “We remove organizations that the SPLC deems as ineligible,” an Amazon spokeswoman told The Daily Caller News Foundation. Google uses the SPLC to help police hate speech on YouTube as part of YouTube’s “Trusted Flagger” program, The Daily Caller reported in February, citing a source with knowledge of the agreement. Following that report, the SPLC confirmed it’s policing hate speech on YouTube. The SPLC and other third-party groups in the Trusted Flagger program work closely with YouTube’s employees to crack down on extremist content in two ways, according to YouTube. The SPLC removed a controversial “anti-Muslim extremist” list in April, after British Muslim reformer Maajid Nawaz threatened to sue over his inclusion on the list. The SPLC had accused the supposed extremists of inciting anti-Muslim hate crimes. 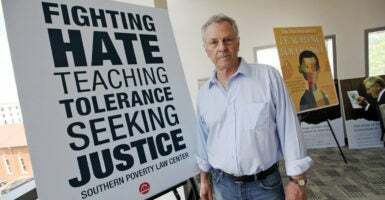 The SPLC has faced tough criticisms not just from conservatives, but from establishment publications as well.